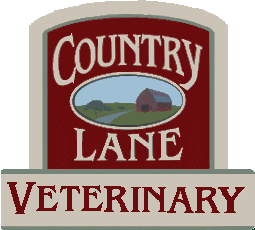 Country Lane Veterinary has researched different pet insurance options, and below are three that we think may fit you and your pet the best. Click on the links or call the insurances below to receive free quotes. What is pet accident and illness insurance? Pet Insurance- coverage for accident and illness, covered in the same category as boats, recreational vehicles etc. All have deductible, and variable limits and may cover or not cover different diseases and accidents. Hit by a car, broken bones, cut, foreign body etc. Most covers some of regular office visits, vaccinations, heartworm tests etc. and are dependent on the company.